Enter the name of this textbox. When clicking on it, the text "Name" will disappear. Most current browsers support this feature. 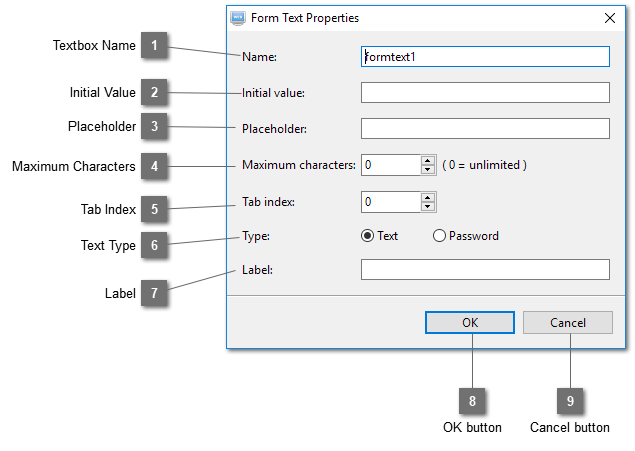 Set the maximum number of characters allowed for this textbox. Set the tab stop of this textbox. Select the type of text for this textbox. If "Password" is selected, only asterisks will be shown when text is entered. Enter the label of this textbox.